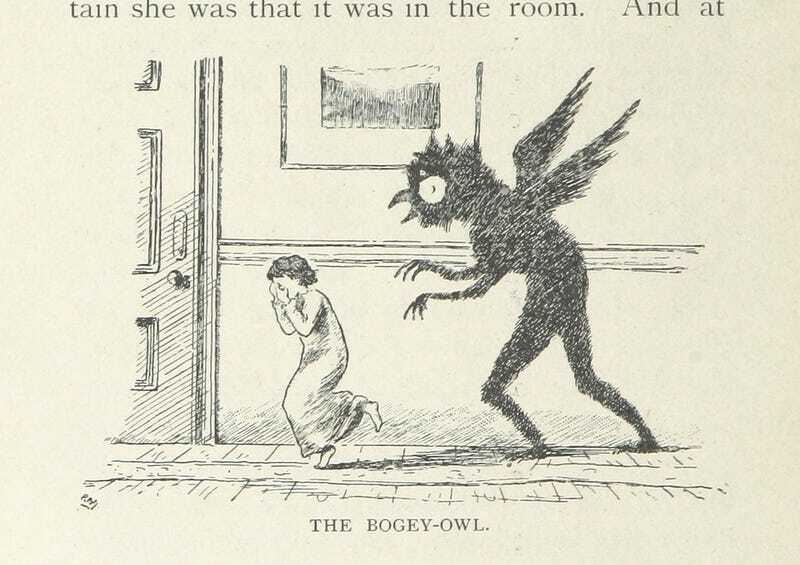 What's the Legend Behind the Bogey-Owl? It creeps through the ... air? Rather than under your bed? Regardless, it’s a terrifying thing to be following you around. The utter weirdness of the British Library’s public domain Flickr library strikes again. This is an image from “The Young Pretenders [A tale.] ... With twelve illustrations by P. Burne-Jones,” and I’m betting it fucked the kids of 1895 up but good.